World's first mobile photo album that can find faces and automatically group your photo. After linking your contact to the face, you can call and send SMS messages to the person in the photo. 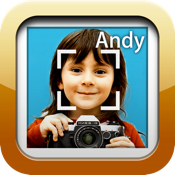 By grouping photos based on time, location and face, you can quickly find the photo you want.